When the PlayStation 4 was revealed, it came out banging with the incredible tech talk done by Mark Cerny. As the focus changed to games from both first and third parties, there was something lacking in the department for me. The fact was that most of the titles that were shown, were either A) known about prior to this event or B) sequels to games to showcase the graphical capabilities of the new console. Only problem is, they aren’t that new anymore. Sure, Killzone: Shadow Fall and Infamous: Second Son look great in their trailers. But those games won’t get me to buy a new console. I’m looking for new experiences that I haven’t really seen in a game before. Shooting enemies and lighting people up on fire with your hands is fun, albeit pretty one-dimensional the more time goes on. But I can do that right now, without dropping hundreds of dollars on a new box. They’re the most marketable genres, but neither of them felt interesting. Killzone felt like the first-person shooter to appeal to everyone in the COD ecosystem, and Infamous is the action-adventure superhero game. While they’ll probably make for good gaming experiences, what’s the most defining part of each beyond their genre? There’s not a whole lot that’ll make them stand out among the crowd other than pretty graphics. Perhaps it’s me aging. 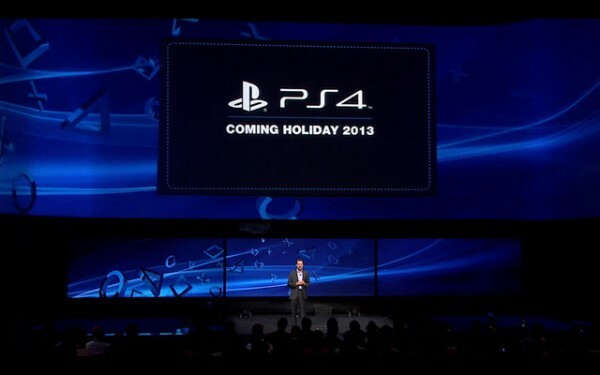 I’ve seen tons of new console releases, dating back to the start of the original PlayStation. Back when Twisted Metal was a new IP that Sony milked that generation, brought back in the PS2 era and then tried to bring it back again late in the PS3’s lifecycle. Of the new properties shown, Knack and DriveClub were among games we never knew about until that day. You could say Destiny and Watch Dogs are new IP, but we already knew of them coming into the show – not to mention they’re both also on the current generation. These aren’t exclusively next-gen experiences, rather just been there, done that games double-dipping on both ends. One will be more powerful than the other, but Destiny’s promise of having the same amount of content means graphics feel like the only trump card. Is it enough? Diablo 3 means Blizzard might make more games for the system. But do we really want a year old game with added in four-player, split-screen co-op? It’s a cool feature that I love since I’m still into local multiplayer, but I don’t think that’s enough for someone to grab a PS4. Since it’s also coming to PS3, it’s again, a game coming to both current and next-gen.
We knew all these games existed and were being worked on by huge companies. But what about the smaller developers? Who knew Jonathan Blow would show up and be the developer at the show with something that appeals to me greatly: The Witness. The last couple years of the PS3’s life were great for indie games such as the widely revered Journey, the music couplings of Dyad and the inventive Sound Shapes. If the PS4 continues this streak with fresh, new experiences, it’ll make a much better name for itself in the underground development community and not just in the AAA game community. Don’t get me wrong: I’m looking forward to the PS4 for the simple reason playing more games. I was never a console fanboy. I’m just a fan of games, and I hope the PS4 will deliver on its promise of play with a great list of games. That being said, I don’t want more retreads. I don’t want more sequels or side-stories or prequels. I want new games I’ll never play anywhere else. That’s what I hope the next-generation will bring to me.